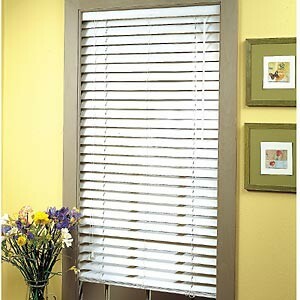 It’s not difficult to Install Mini-Blinds and it requires very little do-it-yourself experience. Mini-blinds can be hung inside or outside of the window casing to create different looks for your window. Hanging your mini-blind outside of the casing makes the window and the blind look larger, while hanging you mini-blind inside the casing gives the window a narrower look. WikiHow provides two short videos demonstrating how to measure your window for each type of installation as well as excellent photographs of the installation process. Mini-blind sizes will be listed on the package. 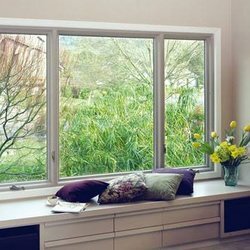 However, the width of the blind will be one-half inch less than what is listed on the package to allow for mounting the blind inside of the window. If you are installing your mini-blinds in drywall, plaster, concrete, tile, stone, or brick, you will need to purchase the appropriate screws, plugs, or anchors from a hardware store and follow the instructions included with them. Before beginning the installation, inventory the parts that came with your mini-blind to make sure that you have the correct number of everything you need. Also, test the blind to make sure it fits the window. Slide the end brackets on to your mini-blind, open it fully, and hold it up to the inside or outside of the casing. If there is a gap on the sides, use your tape measure to find the center of the top of the window and mark it on the casing with a pencil. Center the blind, and then have your helper use a ruler to be certain that the ends of the blind are an equal distance from the side of the casing. Make a mark on the casing at the end of each bracket and just below the brackets. Lay the mini-blind down and remove the brackets from its ends. If you are installing the blind inside the casing, use a ruler to measure one or two inches out from the window and mark the distance with a pencil or place a one or two inch level against the window. Place a bracket against the level or on the pencil mark. If you are installing the mini-blind outside of the casing, position the bracket using the marks your helper made at the ends of and just below the bracket as you held the mini-blind up to the window. 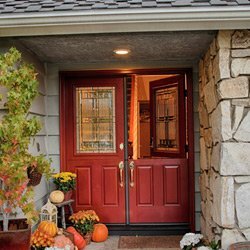 The bracket door or sliding cap should face the inside of the room. The other open side of the end brackets should face each other. It will be easier to work with the bracket doors open or the caps removed. Use the pencil to mark the casing around the outside of each end bracket and the center support bracket for a wide mini-blind. Also, mark the location of the bracket holes on the casing. If you are drilling into wood, use a one-sixteenth inch drill bit to drill the holes, or use a hammer and nail to create a starter hole. If you are using a hand screwdriver rather than a screwdriver tip on a power drill, coat the threads on the screws with beeswax to make it easier to screw them into the casing. Position the brackets and fasten them to the casing with the appropriate screws, plugs, or anchors. If your mini-blind has a valance, attach the valance clips to the front of the head rail next to, not on top of, the ladders of cords supporting the slats. Open the bracket doors or remove the sliding caps and slide the head rail into the bracket. Close the doors or replace the caps. Position the valence on top of the valence clips and press down gently to snap it into the clips. If your mini-blind came with a wand, attach the end of the wand to the hook on the blind. If the hook has a plastic sleeve, push it up, attach the wand, and then push the sleeve down again.